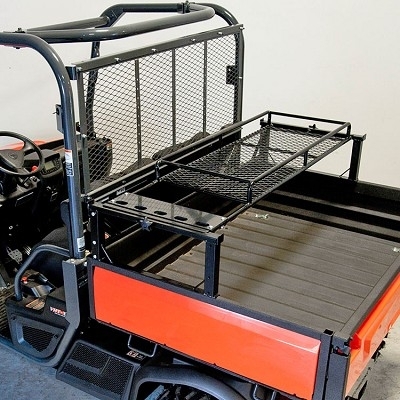 Your dump bed will never be more useful than when outfitted with this universal storage rack. With heavy-duty steel construction, this rack bolts straight on the dump bed wall of your vehicle (some drilling required). With the tool holder installed this rack will fit beds from 50″-62″ wide. 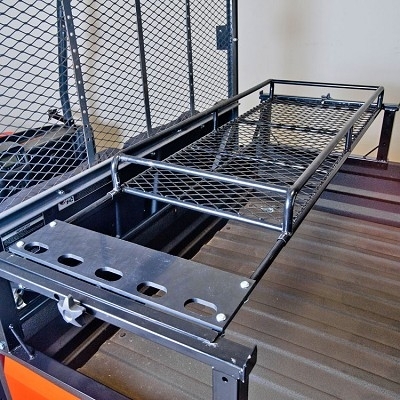 Without the tool holder installed this rack will fit beds from 45″-62″ wide.